The USW-P pistol was first announced in March 2018, and is scheduled to enter mass production by late 2018. 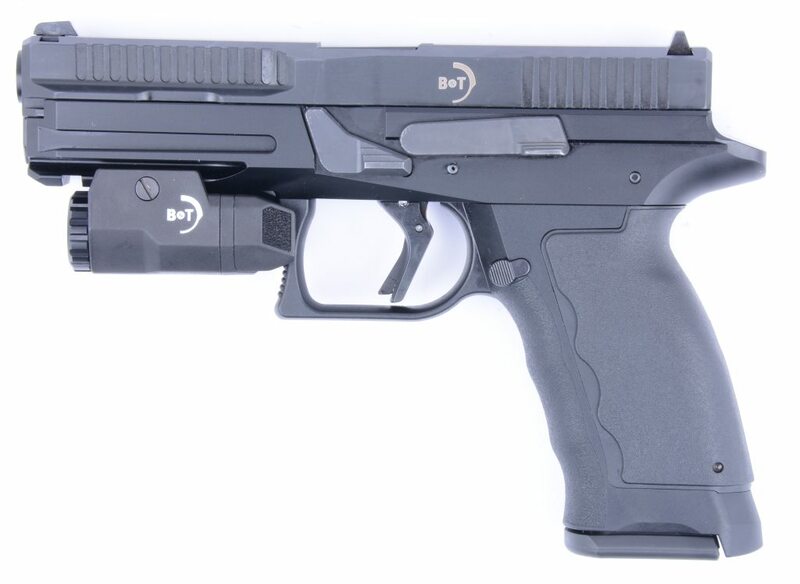 It is an off-spring of the Universal Service Weapon (USW) project, carried out by Swiss company B&T AG. The basic USW is a compact, pistol/carbine weapon, available in two major configurations, USW-A1 with hammer-fired trigger and USF-SF with striker-fired trigger. The USW-P pistol is a stock-less version of the latter gun. 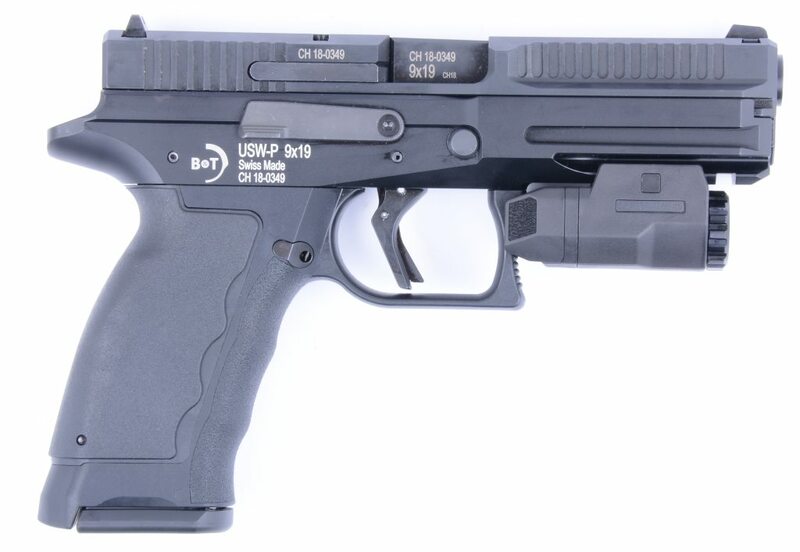 B&T USW-P pistol is short recoil operated, locked breech semi-automatic handgun that uses Browning type locking. It features two-part frame made from aluminum alloy (upper part) and polymer (grip section), and a patented “flared” slide which makes cocking it even more comfortable, especially under the stress. Pistol features striker-fired ignition system with pre-cocked striker and automated trigger safety. No manual safeties are present on the gun. It also has fixed iron sights, dovetailed into the slide, and an universal accessory rail below the barrel. USW-P pistol uses same magazines as its USW-A1 and USW-SF bigger brothers. Slide release lever is provided on bothsides of the frame for ambidextrous handling, magazine release button can be set up on either side of the grip.